The Ultimate Resource For Bergen County & Pascack Valley Real Estate! Absolutely Wonderful Home in an Incredible Neighborhood! Set in the incredible town of River Vale, NJ, this Split Level boasts hardwood floors, an updated Kitchen, a beautiful Master Suite and huge Family Room! With lots of curb appeal and set on a spacious lot, this home has tremendous value! Take a Virtual Tour of this home! Click here for more photos, price & information! 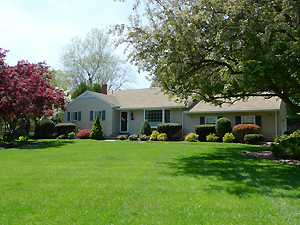 Looking for more River Vale NJ Real Estate? Browse through my Feature Homes! Visit my website PascackValleySoldHomesReport.com for detailed information on Pascack Valley Real Estate! What’s going on in your local neighborhood? Read my Pascack Valley Real Estate blogs! Newsletters, listings, reports & more! Have Real Estate Questions? - Read my Real Estate Newsletter, The June Edition! Pascack Valley Real Estate Market Report! - Westwood, NJ May 2009! Custom Manor Home in Woodcliff Lake, NJ! - Exquisite 5 Bedroom Manor Home! Pascack Valley Real Estate Market Report! - Montvale, NJ May 2009!